In the next 90 seconds,” announces Wayne Horvitz, “I’m going to change the arrangement of this tune, so talk amongst yourselves.” Not an easy feat, considering that Horvitz, along with Robin Holcomb and Tom Varner, has spent the evening piloting a big band through tunes that borrow as much from Duke Ellington and Igor Stravinsky as from John Coltrane and John Zorn. Horvitz ducks between music stands, conferring with the trumpet section (where I spot Thomas Marriott and Reptet’s Samantha Boshnack) and making sure that the trombones and the imposing front line of saxophones (which includes Mark Taylor and James DeJoie) know what to play next. Sheet music gets shuffled and no one seems to mind; the musicians are here to explore new territory, not rehash familiar numbers. Continue reading at The Stranger. 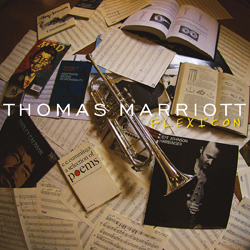 Thomas Marriott’s new CD, “Flexicon,” just reached #10 on the JazzWeek National Radio Airplay Chart. Flexicon has been on the chart for 10 weeks and this the highest placement yet. 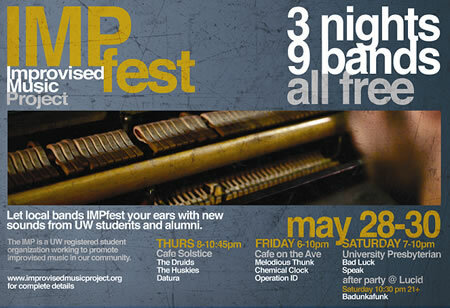 The Improvised Music Project, a group consisting of a number of University of Washington students and alumni, present their 2009 IMP Fest consisting of 3 nights of free music in the University District. from Earshot Jazz: Performing “modern electric jazz-funk at its finest” (Jazz Times), Zony Mash made its debut in 1995 as the unofficial house band at the OK Hotel in Seattle. Guided by Wayne Horvitz’s unique compositional sensibilities, Zony Mash explored psychedelic rock, the blues, and outer space as it released several albums to great critical acclaim. The traditional Zony line-up of Hammond B-3 and keyboards, guitar, bass, and drums will here be augmented by a superb horn section of Steve Moore, Skerik, and Briggan Krauss, adding more depth and excitement to an already thrilling ensemble. Audiences obliged the second Bellevue Jazz Festival, showing up in respectable and consistent numbers over Memorial Day weekend in venues large and small — making an encouraging case for the state of jazz patronage on the Eastside and in Greater Seattle. 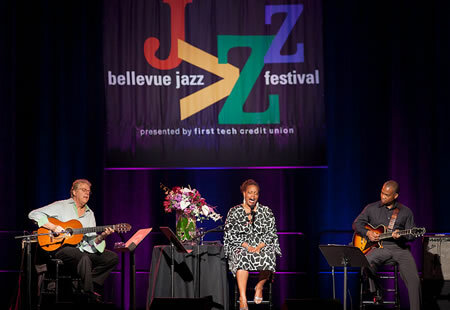 Designed to be a big, high impact, civic ritual befitting a burgeoning metropolis, the three-day Bellevue Jazz Festival met its intentions on an important front, delivering an impressive density of jazz performances and the crowds expected of a large-scale event. 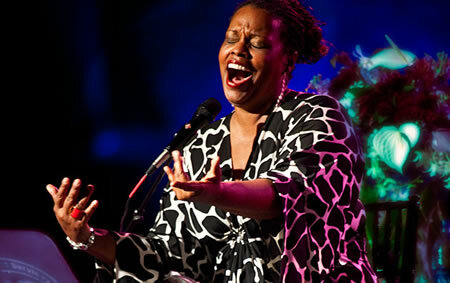 Friday’s headliner Dianne Reeves, a widely celebrated singer with the celebrity heft and the hardware (four Grammy Awards) to carry a big-money jazz festival, performed with just two guitarists, Russell Malone on electric guitar, Romero Lubambo on acoustic, providing a new context to a voice that is as pure and pitch-perfect as they come. In general, the festival’s top end (the national artists) and bottom end (students) were well showcased. It was the middle — the local professional musicians — who might have been underutilized; it is their fan base, after all, that serves as the backbone audience for all jazz in the region. Designed to be a large-scale, high impact, civic ritual befitting a burgeoning metropolis, the Bellevue Jazz Festival opened Friday night with a headline show that equaled its intentions when vocalist Dianne Reeves delivered what should turn out to be the most memorable performance of the festival. 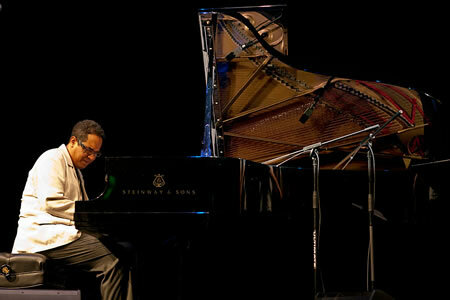 Opening night of the festival featured two singers of equal talent but vastly different styles. 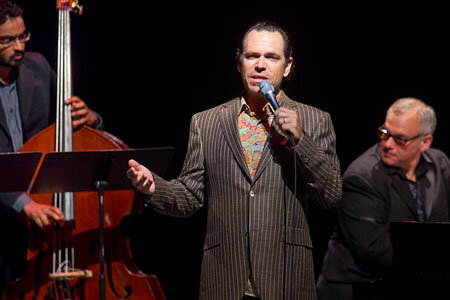 Kurt Elling and his trio sang in the Theatre at Meydenbauer Center earlier in the evening. A smaller, traditional performance space that seats about 400, the theater was packed for Elling’s show. He stayed away from old standards, preferring jazz compositions intended more for instrumentalists than vocalists, like Joe Zawinul’s “Dream Clock” and Michael Brecker’s “Tumbleweed,” which he sang for his encore. 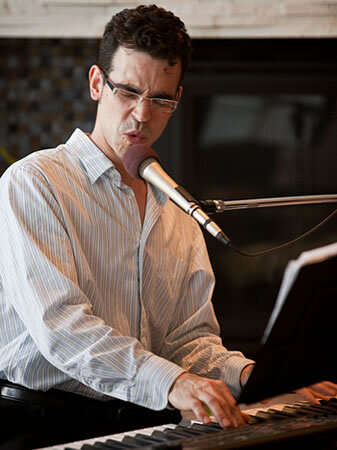 Elling is a very physical improviser who inhabits a song as much as he sings it. His voice has a thick texture with lots of growl and gravel. He can remind you of Eddie Vedder and Tom Waits at times. 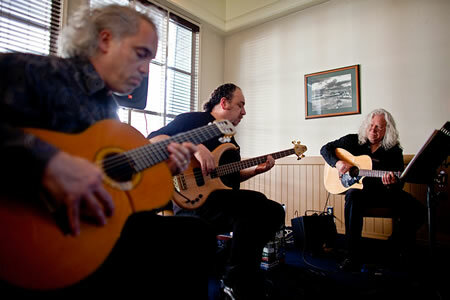 Jam with Origin Records artists: Bill Anschell on piano, Paul Gabrielson on bass and John Bishop on drums. Appetizers & beverages will be available for purchase at jam session. 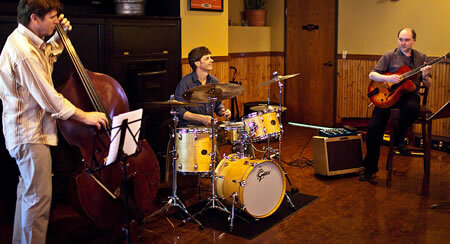 Jam with members of the Music Works Jazz Orchestra. MWJO will perform a short set at 10:30 PM. Other musicians are welcome to join at 11:45 PM. Appetizers & beverages will be available for purchase at jam session. 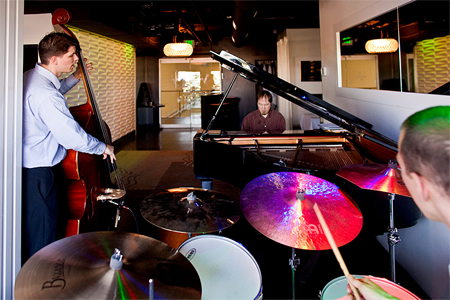 The Bellevue Jazz Festival starts tomorrow. 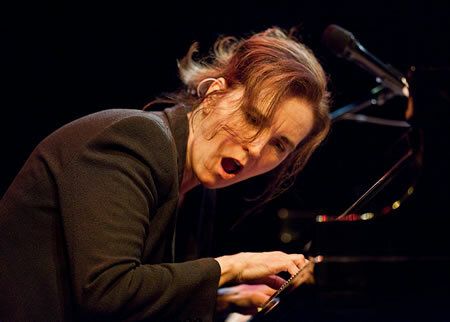 Click here to read Seattle Jazz Scene’s preview of the festival. 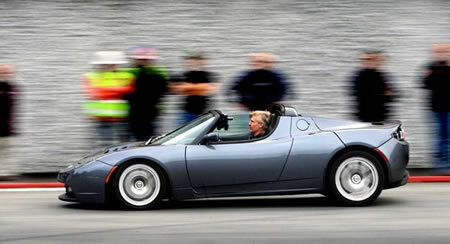 This has nothing to do with jazz, but we here at Seattle Jazz Scene think electric cars are cool. After hitting a slick patch and nearly sliding off the track, Tesla Motors has regained its grip and is roaring back to Seattle. The Silicon Valley manufacturer of electric supercars is announcing today that it’s opening a regional showroom and service facility in South Lake Union, just around the corner from the massive new Amazon.com headquarters campus. By September the company will be selling its $101,500 battery-powered roadsters from a restored brick warehouse at 425 Westlake Ave., one of the first three to open outside of California. “It’s a perfect fit for our company, being in that location,” said Alexander Pulver, a former Barrier Porsche salesman who will manage the facility.